When people talk about corporate culture, there’s one company whose efforts were legendary. For more than a century IBM has pioneered not only technologies but also innovative ways to energize its own workforce. Back in 1915, IBM co-founder Thomas J. Watson was encouraging employees at one of IBM’s predecessor companies — the International Time Recording Company — to form a band to perform at a company convention. By 1918 it had grown into a concert band, and by 1934 there was even an IBM orchestra and glee club. For decades music played a role in IBM’s efforts to boost morale. In 1938 orchestral composer Vittorio Giannini wrote the IBM Symphony for the dedication of the IBM World Headquarters Building. 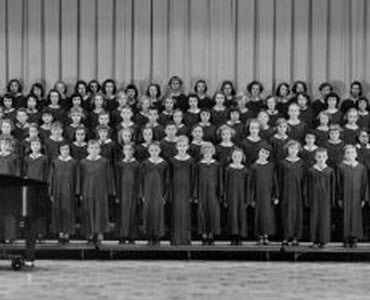 And by 1951 there was an IBM children’s choir for the company’s branch in Endicott, New York. There’s something undeniably nostalgic about the unbounded optimism in these long-ago lyrics. But there were still more attempts at corporate fun waiting in IBM’s future — and more creative waves to energize their workforce. 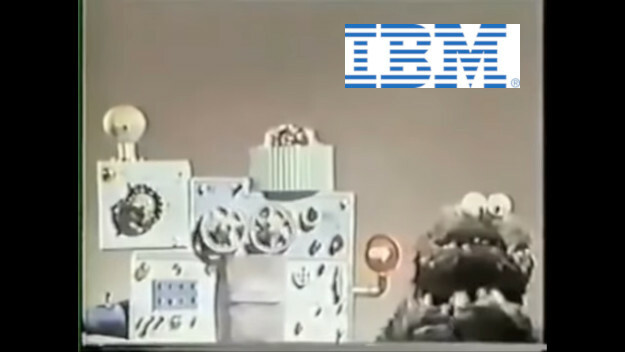 In 2010 Technologizer, the site founded by Fast Company editor Harry McCracken, remembered how back in 1966, IBM hired Jim Henson to produce a series of humorous short in-house films for their sales staff. Just three years before launching Sesame Street, 30-year-old Henson began producing the short films, which he continued through 1976. For most of them, Henson was both the primary director and the primary puppeteer. Also involved were his long-time collaborators, puppeteer Frank Oz and writer Jerry Juhl. “Little known today, these remain fresh, funny, and surprisingly irreverent,” wrote Andrew Leal, an administrator for the Muppet Wiki. Some films were humorous shorts meant to be an engaging opening — or to lead into a break. At this moment in time the Muppets were just beginning to become rising stars, having already appeared in a few commercials, and even in guest appearances on some TV shows. This meant that IBM employees were treated to the world’s very first solo appearance of the Cookie Monster — and a message for our times. Technologizer notes that this short “displays an ambivalent attitude towards technology, showing it as complicated, seemingly pointless, and likely to self-destruct. Henson’s company eventually moved beyond IBM, and starting in 1975 and began selling “Muppet Meeting Films” elsewhere, leading in the 1980s to a profile on “Entertainment Tonight” which says the films were used by “most” Fortune 500 companies. And that he was the basis for a muppet known as “The Company Man” in the films Henson’s crew produced for other companies after IBM. Times have changed, and instead of resorting to songs and puppets, this week IBM boasted that it’s developed an AI that can predict with 95% accuracy which employees are about to quit. CNBC reports that the company’s HR department now has a patent for its Watson-based “predictive attrition program,” and CEO Ginni Rometty estimates that it’s already saved the company $300 million. It considers, for example, which tasks the employees are completing and what educational courses they’ve taken, which is said to be more accurate than subjective manager assessments. Though I imagine some employees may be nostalgic for the days when the company entertained them with songs and puppets. Companies, contractors, and the history of work before and after the gig economy. To jump-start “learning engineering,” Carnegie Mellon open-sources its adaptive learning and learning analytics tools. Lessons learned after a failed attempt to automate the cleanup of the Great Pacific Garbage Patch. New tool advises consumers on how to respond to data breaches. A surprising new motherlode of 66-million-year-old fossils captures the day the dinosaurs died.